Pelion, Greece is the mountain of Centaurs and widely known to all for its beautiful villages, very beautiful and clean beaches, ski center, delicious culinary experiences and its hospitality. 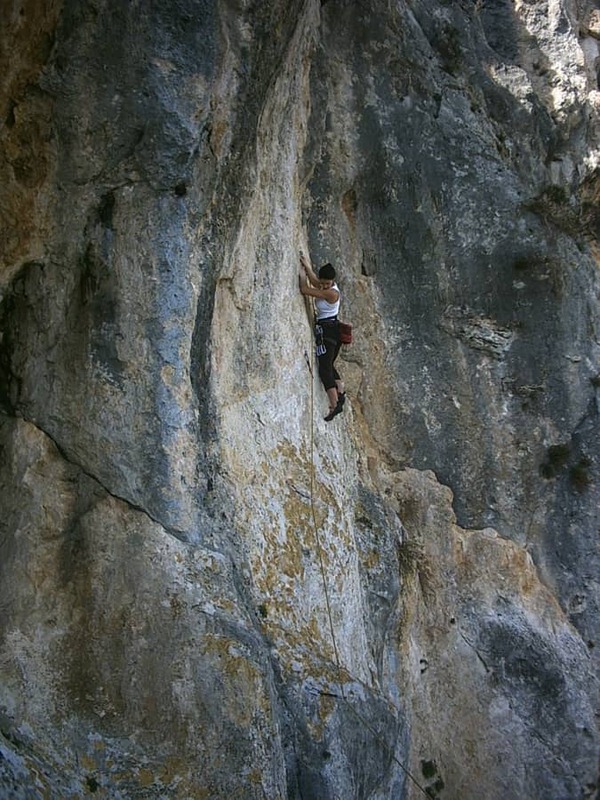 During the last years a number of new climbing fields have been discovered and they have been equipped with new routes and many possibilities for all levels of climbers. 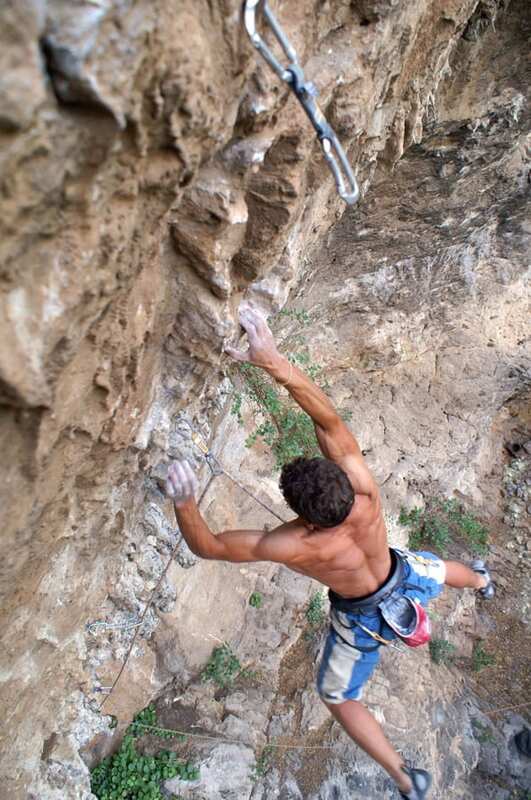 What was missing from the area was a field with lots of “negative inclination”, relatively “water proof” and with routes that will raise the overall level like in many other areas of Greece. 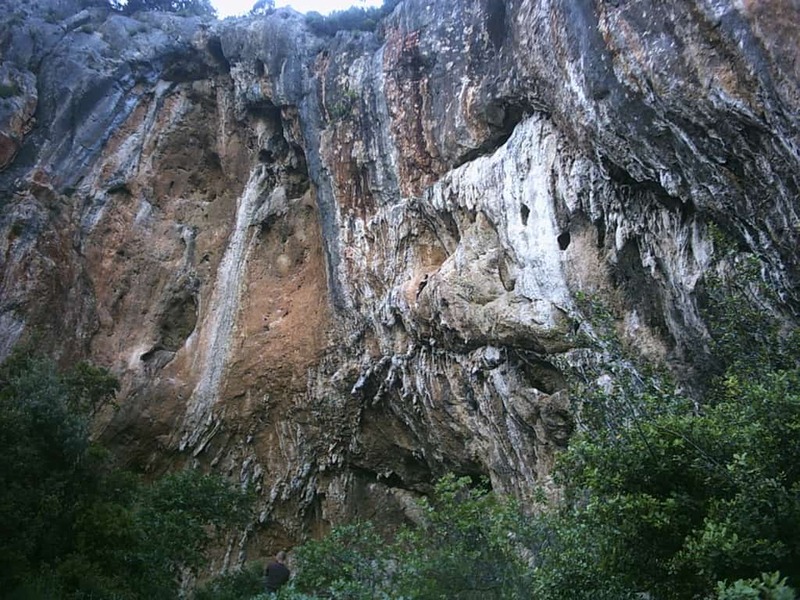 This, apparently happened 2-3 years ago when Karsten Oeltze, a highly skilled German climber, with a great experience in opening new routes of high difficulty (and a regular visitor to our Greece), discovered the cave of Paou. Since then and with the contribution of local climbers we now have a complete field with 13 routes of extreme beauty and of skills level! To reach the field of Paou is actually quite simple. By passing Volos and the city of Agria, directing towards the East Pelion, you continue until the community of Argalasti (main village of the area) for about 45km. After passing the village, there is road at our right driving to the “Cultural-Conference Center of Monastery of Sr. Nicholas Paou-Aragalasti”. This is a monastery used as a conference center by the University of Thessalia. We continue for a little bit, until at some point there is steep cemented left downhill turn, which drives to a country house. At our left a dirt road begins and we can park there. After that point and a 5minute walk we will see the cave rising at our front left. As we said, this field is a little cave, so get prepared for quite a lot of negative inclination. There are many columns and holes and in general the rock is quite soft and doesn’t easily destroy the touching. The deployment of the routes varies from 10 to 20 meters, all in sport style with inox connectors and double relays. 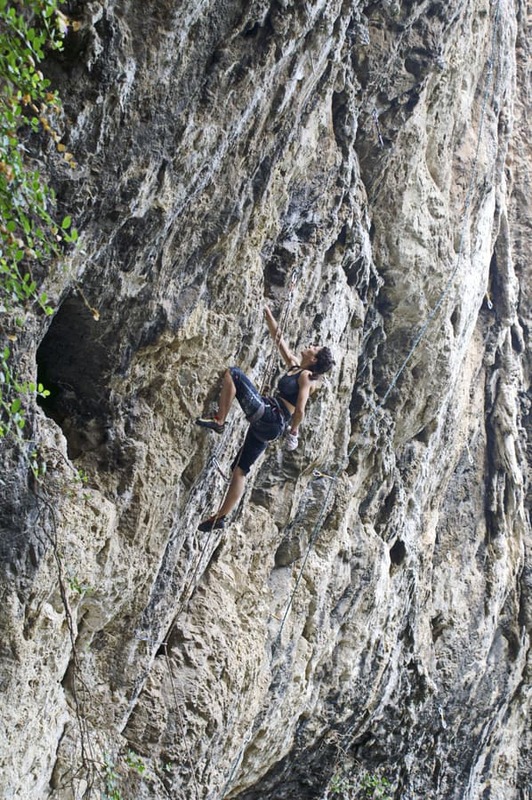 You will need up to 12 quickdraws and a 60 meter rope. At Paou you will be able to climb all seasons of a year except winter, as the routes (due to the terrain) will be very wet. The best season is from spring to first days of December. During summer time the ideal time is after 12:00 where the shade is good and combined with the sea breeze provides a very pleasant climbing. Καλό Πάσχα (Happy Easter) 6c ? At a short distance from the field there is the beach of Paou. You will find it by continuing the asphalt road where you turned as you were coming to the field. The sea is extremely clean and you can even camp (however camping is forbidden all over Greece). You will enjoy the very good food at Argalasti as well as at the surrounding villages of Pelion, plus you can find many guest houses to stay for the night. Check the contact data at the right for our website and contact details. – An article by Christos Boukoros. Contact the organizersthrough their contact data below.